Above, the dining room at Ouisie’s Table. Have I ever had a better crab cake? No, probably not. Today’s menu celebrates stone fruit, summer tomatoes, southern cuisine, Iberian recipes, Geoffrey Hill, trout, Colombia, figs and bourbon. My, my. Oh, waiter. 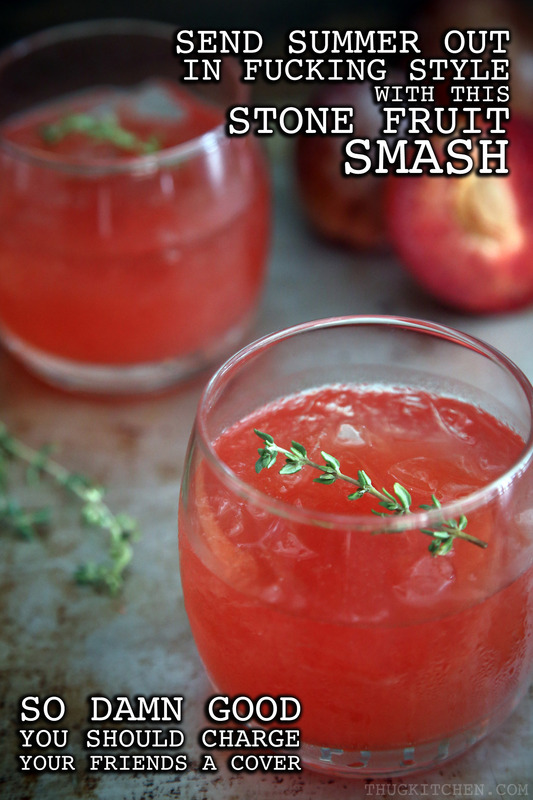 Let’s get started with a refreshing beverage from a Thug. Given the summer season, I want to consume as many tomatoes as I possibly can. 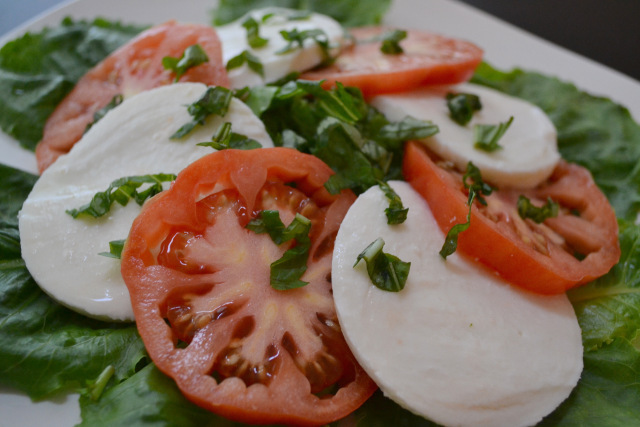 So here’s a classic, Caprese Salad With Heirloom Tomatoes from On Mill Road. The Southern Foodways Alliance documents and records the story of cooking in the American South. The director John T. Edge has been featured on The Mind of a Chef discussing southern cuisine and history with Sean Brock. This Okracast focuses on the cooking of Chinese immigrants to Mississippi and Virginia. Including a recipe for Yock a Mein! You say you’re ready for a healthy kick of brine and umami? If there’s a better marriage in the world than seafood and pork, I haven’t’ tasted it. 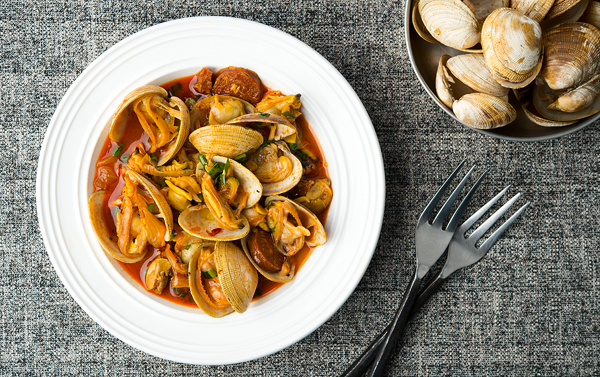 Here’s a fantastic recipe for Clams and Chorizo from Hunter, Angler, Gardener, Cook. When you have dinner parties with poets, it’s not unusual for a bard to stand and recite a favorite poem, or most likely because they’ve had a dram or two, just sit and burble it out. 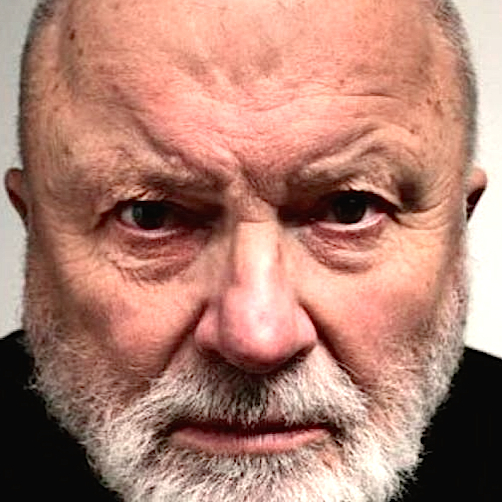 The poems of Geoffrey Hill dig and vine the English language into a voice singing out of every syllable, every stress. Here’s one of my favorites. The Fortnightly Review has a consideration of this Dictionary Poet. Now we’ll order our main course, an Herb Stuffed Trout with Ratatouille. This recipe comes to us from Conor Bofin at One Man’s Meat. 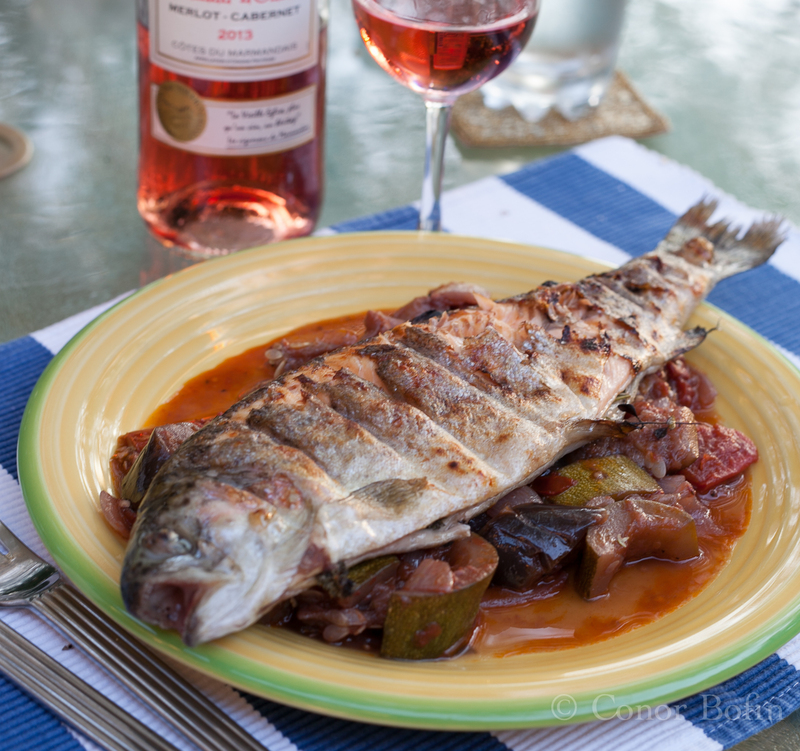 I love this combination of barbecued trout and slowly simmered vegetables. 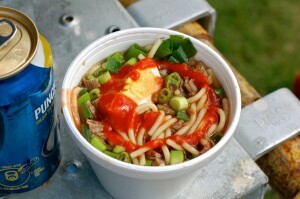 This dish is on my to do list. When we have guests over, or when it’s just Gabriela, myself and Demian, usually over a meal we discuss the world. There’s something about sharing meat, vegetables, wine, around your own table, that brings out the thoughts of all that swirls around you. Maybe it’s the creature comfort of warm food and good drink to make us think about what is there out in the dark, but whatever motivates it’s one of the joys of hospitality to invite talk of things near and far. 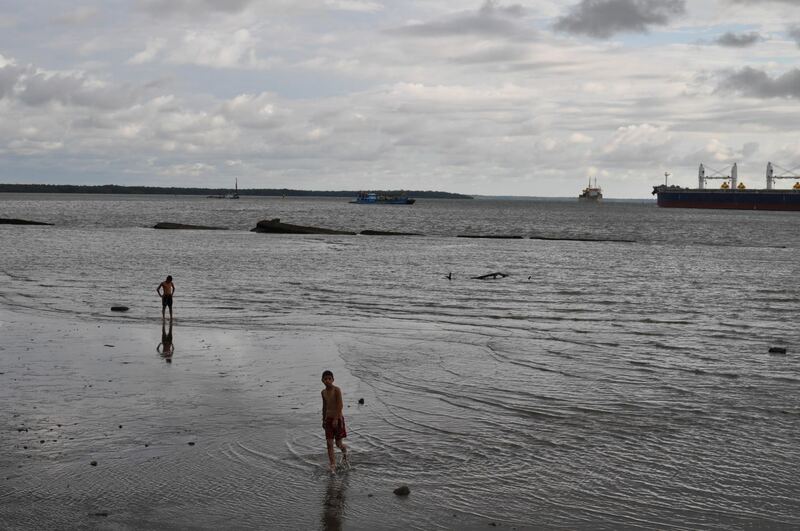 From one of my favorite blogs, Roads And Kingdoms, here’s a look Beaches and Bodies in Buenaventura. We’ve talked long into the night. 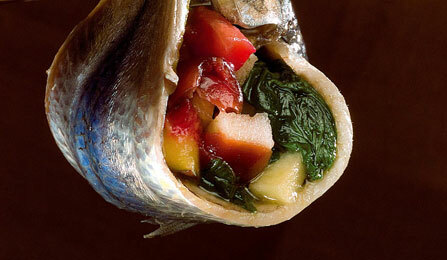 Now, it’s time for desert and since fresh figs have been delivered, let’s return to a Spanish influence with this extraordinary Sardines with Rosemary in Movement with Cebreiro Cheese, Red Berries, Figs and Touches of Green. 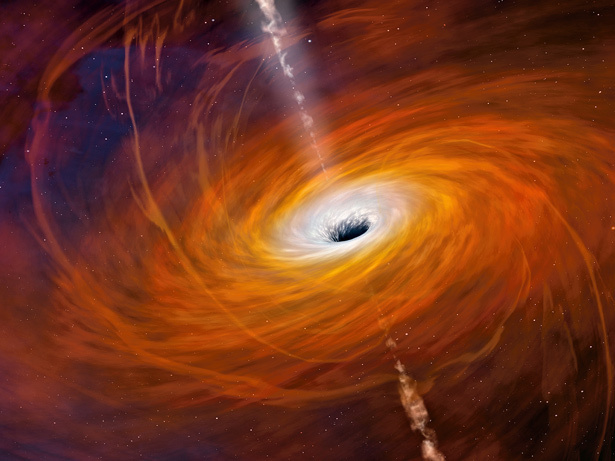 Oh, we’ve stayed up too late and had such rich food that our minds have expanded past the earth and contemplate a National Geographic illustration of a black hole. Let’s reach dark into the night and contemplate why there’s something rather than nothing in Why Didn’t The Universe Become a Black Hole. 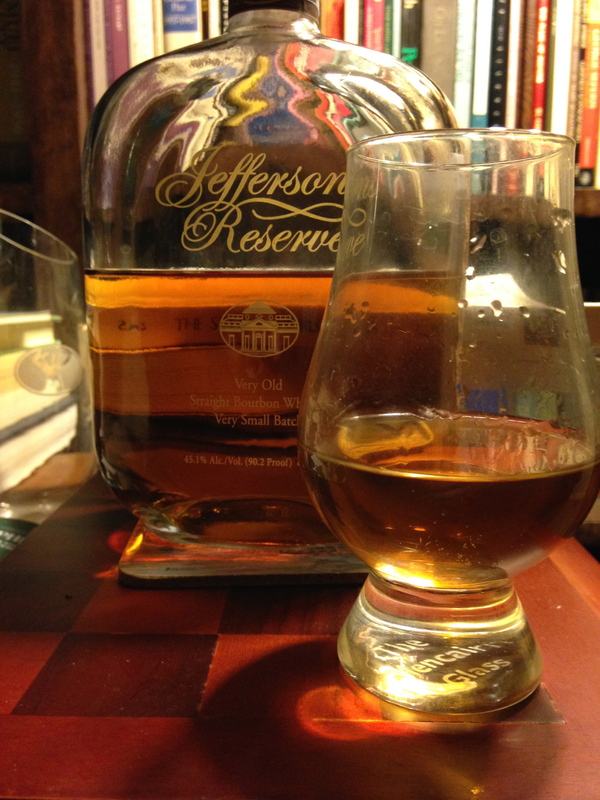 It’s all right, let me pour you a glass of Jefferson’s Reserve Very Old Straight Bourbon Whiskey.